Iran has launched a video-sharing site in its latest effort to provide alternative government-sanctioned Internet services. Dubbed “Mehr,” the Farsi word for affection, the site aims to attract Persian-speaking users and promote Iranian culture, according to the About Us page reviewed by the Agence France-Press. “From now on, people can upload their short films on the Web site and access [IRIB] produced material,” said Lotfollah Siahkali, deputy chief of Islamic Republic of Iran Broadcasting. The Iranian government has been waging a battle against what it calls “inappropriate” content on the Internet. The government announced in September that it would block its people’s access to Google’s search engine and Gmail in September, an apparent retaliation for an anti-Islamic film posted on the company’s YouTube site that caused outrage throughout the Muslim world. At the same time, a government deputy minister announced that the government was moving ahead with much-rumored plans to create a domestic Internet as a way to improve cybersecurity. All government agencies and offices have already been connected to the “national information network,” according to a Reuters report at the time that indicated the next step was to connect citizens to the network. The country has reportedly been developing a national interanet in an effort to create “a clean Internet.” The Iranian government denied those reports, but the Iranian media say the domestic system would be fully implemented by March 2013, Reuters reported. 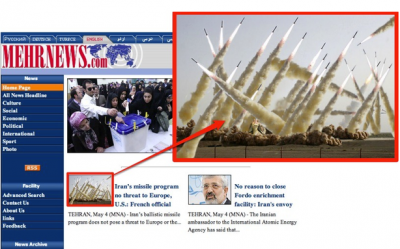 Still unclear whether access to the World Wide Web would be cut once the Iranian system is rolled out. 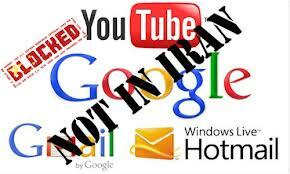 Iranian Internet users have grown accustomed to censorship. The country’s government cut off access to the Internet a few times earlier this year, the latest of which blocked access to all encrypted international sites outside the country that operate on Secure Sockets Layer protocol. Many Iranians use proxy servers over Virtual Private Networks to circumvent government efforts to block access to foreign news sites and social networks such as Facebook and Twitter. Nothing is transparent in Iran. Bzzz … Bzzz … Bzzz (the fruit-fly) number 1 (again). There are two remaining communist regime in and around the middle east, one is falling and another is about to fall. Bzzz … Bzzz … Bzzz (the fruit-fly) number 1. And the master retard goes to, Our very own Patience. why do you jewish war kikes INSIST? You want to “FreeTheME”? Ok pack up and go back to europe where they know how to deal with you. Let go of your mythical “israel” and let the world have peace finally by allowing the millions of Palestinian refugees you created to go back to their homes. hahahahahahahaha you made my day, dude!!! People, THIS IS NOT A LEBANESE WEB SITE! There are many sites similar to this that claim to be from African countries, lebanon, Libya, etc. They are ALL U.S based jewish american spoof sites! Try wikipedia …. or any number of other dictionaries. A dictionary is a book of the meanings of words. Made of paper. Perhaps from before your time, but you could learn some history about that. Too. Anyone who signs onto it should know what YaLibnan is … or any site for that matter, since there is an ‘About’ and ‘Home’ info for any site. You posted on it, didn’t you? Lebanese post freely on it, don’t they? Others do too. Idiots with nothing to contribute but foul language are turfed out, we all hope. Why not contribute something real to a discussion, rather than trying to trash a site verbally? Duuhhh …You posted on it, didn’t you? Lebanese post freely on it, don’t they? Others do too. Idiots with nothing to contribute but foul language are turfed out, we all hope. Why not contribute something real to a discussion, rather than trying to trash a site verbally?